Looking at other people with their awesome vehicles is an envious moment. You start thinking how lucky they are, and how unlucky you are. Stop that thinking because all the joy that they enjoy can be yours now. Even, you do not need to spend too much money for enjoying the most luxurious car that you ever dream of. It is all because a car rental can give you any types of luxurious car including the most satisfying services. All you have to do is just visiting the most reliable miami luxury car rental through its website. Then, you will find some collections of luxurious car to pick for rent. You can even learn about the car specification, including making price comparison too. Then, you will get the most satisfying deal to make. Some of the luxurious cars to enjoy are Ferrari, Audi, Lamborghini, Maserati, Mercedez-Benz, Bentley, Aston, Mc Laren, Porsche, and range Rover. Each of them is in different types too in order to make sure that you will get the car that you are mostly desired of. You can click on the picture and learn the detail information about the car. If you cannot find the car that you want or if you really have special request, you can even call the car rental and inform them about it so that they can do their best effort in fulfilling your needs. 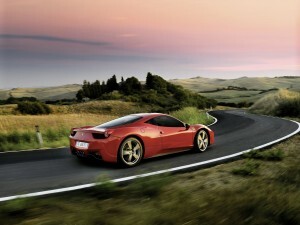 Ferrari 458 Italia is one of the most wanted cars that people want to drive. Now, it is even better because the car is available at the newest design. It is all for the sake of making you satisfied. This car has excellent power and gearbox to give the best performance on the road. The instant shift makes the car even faster than what you have ever imagined before.